We've picked 5 creative Fall running workouts for you to sink your teeth into this season. A mix of everything in key locations around Boston, there's a workout for every occasion! Do a short warm up & dynamic stretching for each. Perfect for Fall foliage, you'll love the scenery on your run though the woods in this beautiful park! Immerse yourself in nature and sporting history as you run up the famous Bearcage hill, part of the 1992 World Cross Country Champs course. Pyramid workouts at Harvard will keep you in shape! 200, 400, 600, 800, 1000, 800, 600, 400, 200 m pyramid, with walk or jog rest for each interval distance! Great location and a perfect workout for developing speed endurance. Fresh Pond race every Saturday morning! 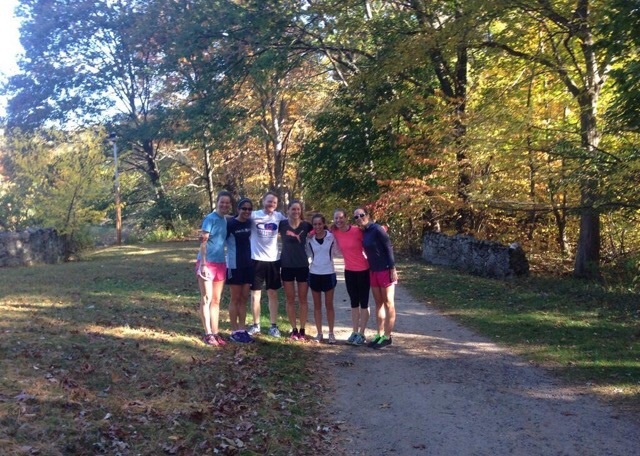 Every Saturday at 10 am, join the local Cambridge community in the free race at Fresh Pond! Choose from 2.44 or 4.88 mile options (to be exact). It's super casual; just show up and run! You can join in to meet fellow local runners, run a steady pace, or really challenge yourself. Reps up Summit Ave: not for the faint hearted! This viciously steep hill in Brookline will give you a great workout this Fall. Choose between doing 5-6 reps at 85% effort all the way to the top and jogging down, or run over the other side of the hill and back up the (very slightly) less steep side for a change of scenery. Depending on the bridges you choose, these can be as short as 800m or as far as a mile. Run at 85% effort from one bridge to another, and then jog easy for half that time. Repeat as necessary! There you have it! 5 Fall running workouts in Boston! Free 8 week Triathlon Training Plan for Beginners (leading up to your first race).